Happy Monday ! I hope everyone had a wonderful weekend and lovely Valentine's Day. I spent this weekend dreaming about spring and spring fashion. Here in Cali it has been pretty warm ( the other day was in the 80s!) So it's reasonable to start planning warmer weather outfits don't you think? On the top of my list is floral prints. Fresh blooms are a sign that spring in the near horizon. 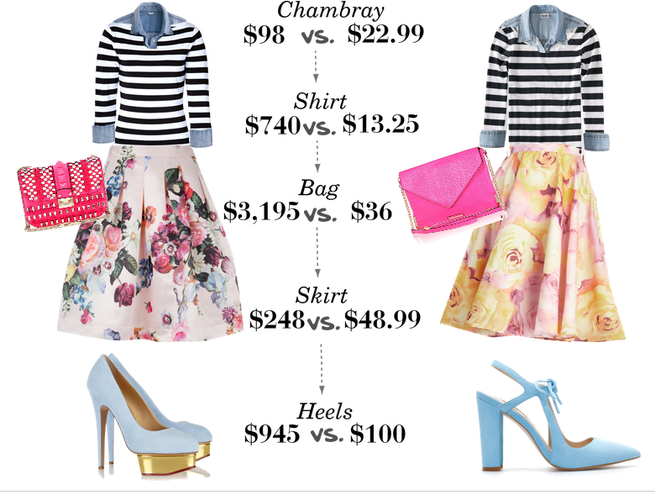 So today's blog post is all about getting a spring inspired look for less.